Solid, compact and effective, the Force USA Sissy Squat (F-SISSY) is strong enough for gym use, while designed to fit into any home. Featuring SteelForce Structural Integrity and heavy-duty, DuraCore™ high density foam padding wrapped in sewn rip-stop VorTex™ Upholstery, the Force USA F-SISSY is built to take a pounding. The “Class A” rating Force USA F-SISSY comes with a Lifetime Structural Warranty. 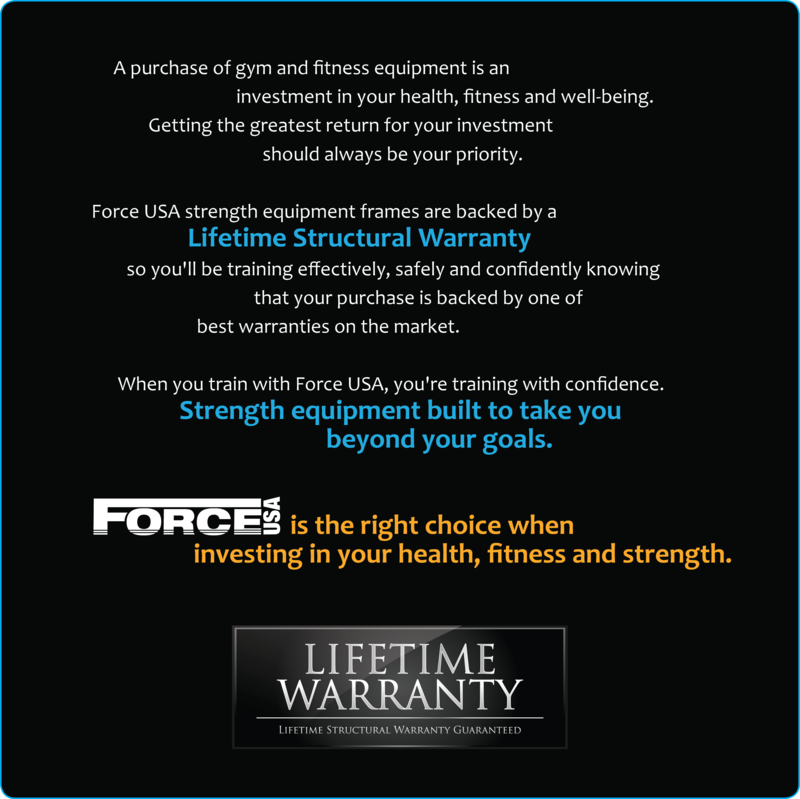 Force USA F-SISSY is unmatched in its class and will give you solid and intense workouts for many years to come! Even though item was out of stock, as soon as it became available Gym and Fitness completed the order. 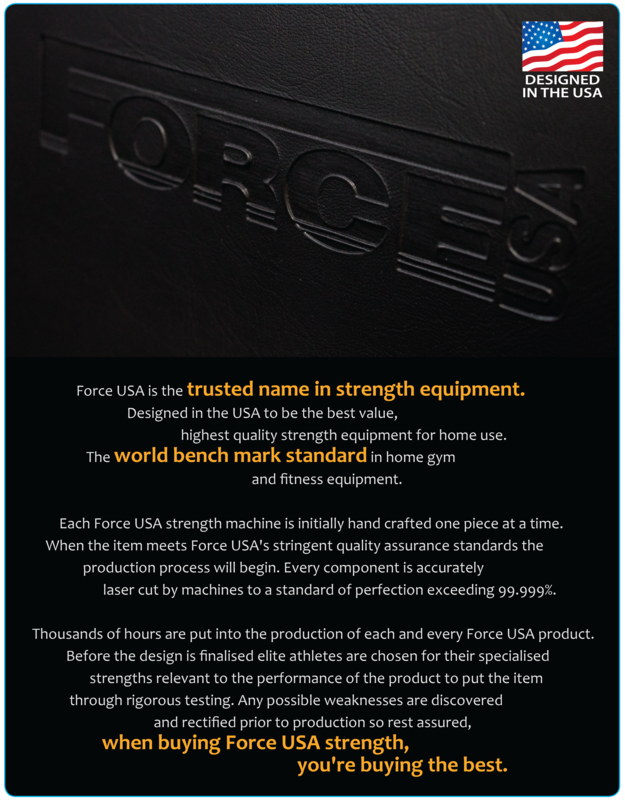 Quick delivery and the quality of the Force USA product is second to none. Thank you heaps! A good way to build functional strength and core stability, the sissy squat is a great alternative to regular quad exercises. The FORCE USA Sissy Squat is easy to assemble and very sturdy, with fully adjustable height and foot pads. The machine allows for full range of motion in your quads in a safe manner, engaging your core for stability throughout the entire movement. Pump out 20 of these and see how tough you think your legs really are. These should be part of the furniture in commercial gyms. 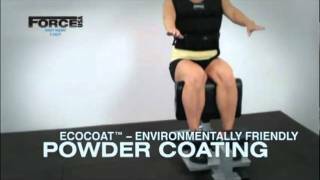 I would recommend this machine to anyone.